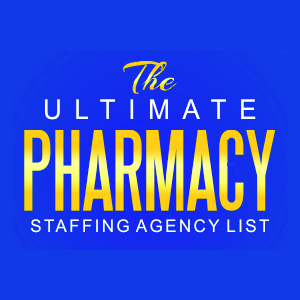 According to the Pharmacy Technician Certification Board there are somewhere in the vicinity of 225,000 active certified pharmacy technicians currently working in the U.S. When you consider that there are at least that many who are not yet certified, it is pretty clear that the “pharmacy technician” is a bona fide career that is here to stay. Not only that, but the field is growing. According to the Bureau of Labor Statistics there were 334,400 available pharmacy tech jobs in 2010 and the expected growth over the next decade is 32% (much faster than average). As a pharmacist I am grateful and fully supportive of this valuable field of professionals, who provide important services to patients, assisting pharmacists in the process of prescription filling. 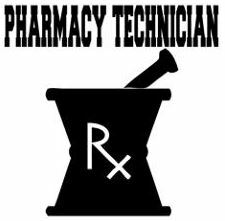 Therefore, it is my intention to do a number of blog posts on the pharmacy technician career, by interviewing pharmacy techs from various settings in order to share this career path with others, invite questions and hopefully inspire some to consider this as a career choice. If you haven’t done so, be sure to read my previous interview with CPhT Cassie McIntyre! This post is very special to me. I reached out not merely to a pharmacy tech, but to a good personal friend whom I have known for many, many years. Christina Ottman and I used to work together at Wal-Mart pharmacy, and she continues to work there today. Chrissy is amongst the most talented of technicians I have ever had the privilege to work with. She displays leadership and poise, professionalism and commitment to excellence in all that she does. She makes everyone around her better, and her skills make even the hardest days in the retail world more bearable. It is therefore with great pleasure that I pose a few questions to my friend and fabulous pharmacy technician, Christina Ottman. 1. Why did you become a pharmacy tech? Well we had a Pharmacist named Jason, who could see that I wasn’t being challenged enough with the position that I was in. SO he asked me if I would like to give it a chance, Thanks Jason! 2. What interested you in this profession? I knew that I would be learning something new every day. Also, I was going to be able to use my computer skills and help the customers with issues they may have with filling their medications. 3. Are you nationally certified? How did you go about that process? Yes I am. Well at first I wasn’t even aware that there was a National Certification. A District Manager actually was the one to let me know something like that was available. I started my looking into it and actually started an online program. Then I also took a 2 day course at MCP in Worcester. Save 40% off the price of this course by entering “Honest40” into the coupon code!! 4. What exactly do you do as a pharmacy tech in your current position? More like what don’t I do? No just kidding. 5. 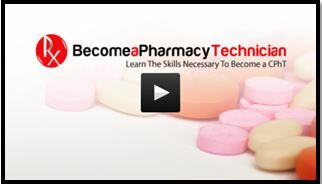 What do you like most about your career as a pharmacy tech? Helping my customers, if it be for their Rx’s or just needing someone to vent to. 6. What would you say is the most challenging aspect of your career? 7. Would you recommend being a pharmacy tech to others? I would and I have. My sister was actually the first person I talked about it to. We actually studied and took the Certification exam together. We have both been in the field for over 10 years now. 8. Where do you see your career going over the next 5-10 years? I never really think about it. These10 years have gone by so fast that I don’t know what the future would bring. I would like to look into becoming a tech that they send out to other stores to help train new techs or make sure techs we have now are following the correct policies. Also share with them some of my knowledge on ways to make their jobs more efficient. 9. So, when you AREN’T in the pharmacy, what sorts of things do you enjoy doing? LOL Well actually Ghost Hunting! It is one of my favorite things to do when I have the chance. I love the unknown and the paranormal. I do also like to spend time with friends and family. If you have a question about being a pharmacy technician for Christina, I invite you to post your question below! I’m sure she would be happy to answer them if she can…that is…if she isn’t too busy chasing ghosts! Chrissy – Thank you for sharing your career with us here at The Honest Apothecary! !